Literature is powerful. It offers respite. It provides access to beauty and horror, to new places, new people, and new ideas. It can, as the phrase goes, change your life. Good things, all of them. But also somewhat limited goods: they're all pretty passive, pretty private-you might even say self-centered. 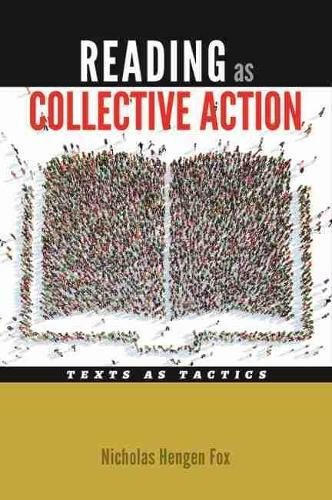 Reading as Collective Action shifts our focus outward, to another of literature's powers: the power to reshape our world in very public, very active ways. In this book, you will encounter readers who criticized the Bush administration's war on terror by republishing poems by writers ranging from Shakespeare to Amiri Baraka everywhere from lampposts to the New York Times. You will read about people in Michigan and Tennessee, who leveraged a community reading program on John Steinbeck's The Grapes of Wrath to organize support for those in need during the Great Recession and to engage with their neighbors about immigration. You will meet a pair of students who took to public transit to talk with strangers about working-class literature and a trio who created a literary website that reclaimed the working-class history of the Pacific Northwest. This book challenges dominant academic modes of reading. For adherents of the "civic turn," it suggests how we can create more politically effective forms of service learning and community engagement grounded in a commitment to tactical, grassroots actions. Whether you're a social worker or a student, a zine-maker, a librarian, a professor, or just a passionate reader with a desire to better your community, this book shows that when we read texts as tactics, "that book changed my life" can become "that book changed our lives.